If you are a woman you know how awkward having a bra fitting can be. 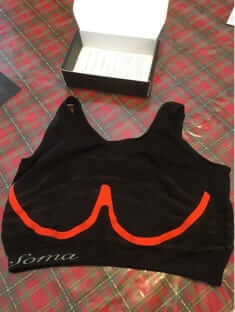 Bra retailer Soma figured to do away with that by introducing the Soma Somainnofit smart bra fitter at CES this month. The Soma smart bra lets you do your own bra fitting in the privacy of your home with a device that looks like a sports bra, but is actually a bra fit calculator. 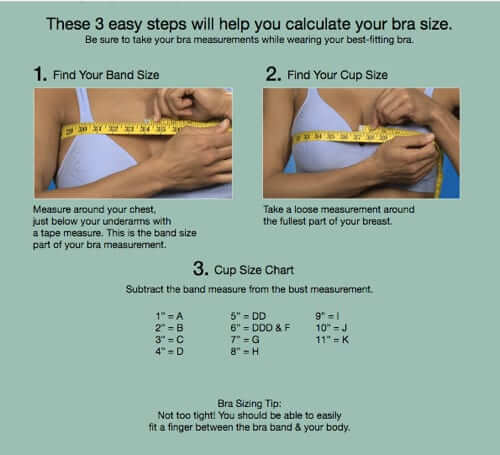 We just received one, so if you’re looking for early Soma bra fitting reviews of the Soma bra fit calculator, you’ve come to the right place! 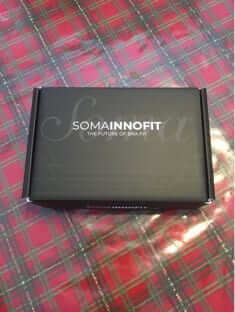 The Soma Somainnofit arrives in a tiny box, far smaller than we’d expected. That’s because, it turns out, the bra fitting device is very lightweight, and so folds to fit in said tiny box. After you remove the Soma bra fitter from the box, the first thing you will notice is that this is no ordinary undergarment. 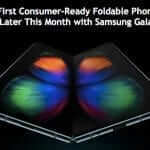 The front is…interesting… but it’s the back that really brings it home. There is Literally a Battery Pack on the Back of this Bra! 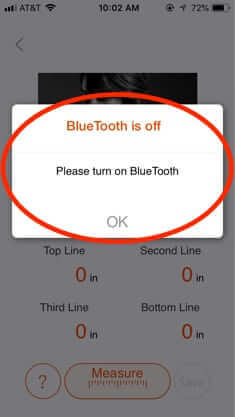 Before you can actually have the Soma smart bra fitter do its thing, you have to download the app (of course). You can download the Soma Innofit smart bra app here. Of course, once you have downloaded the app, you have to sign up with Soma in order to use it. After all, what this is really is a play to sell you stuff. You know, bras. Once you sign up, the app takes you through a short tutorial, both in pictures, and with a short video (which you can skip if you want). 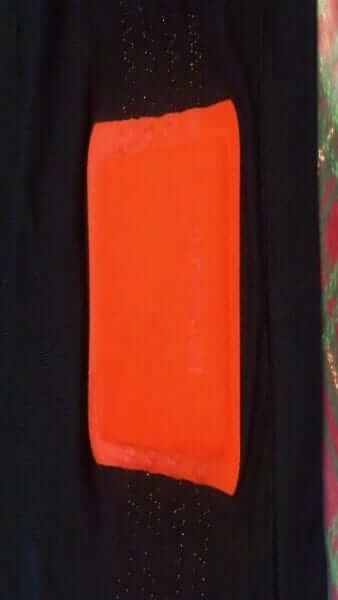 You will need to enter the bra’s unique ID number into the app. 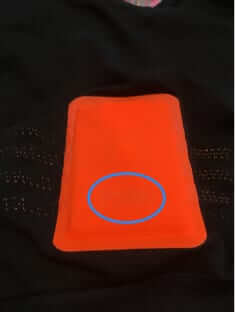 While the app makes it look as though the bra’s ID number will magically appear in some high-tech illuminated way, in reality it’s rather hard to see – it is debossed (yes, it’s a word, it’s the opposite of embossed) into the orange rectangle that is the battery pack. Now you are ready for your at-home bra fitting. Slide the Soma Innofit smart bra on over your own regular bra – one that is comfortable and unpadded or minimally padded. The app guides you through how exactly to position the smart bra, which basically means lining up the band of the smart bra with the band of your own bra, and making sure that one of the lines on the smart bra is positioned over the fullest part of your bust. 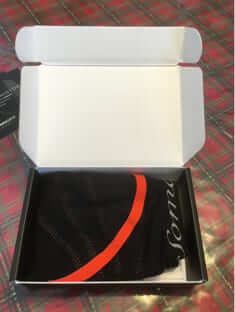 We’re of course not going to show pictures of our own bra fittings here at the Internet Patrol, so here is an image of the cue card that Soma includes with the smart bra. Now, here is where we felt the entire experience let us down. We were expecting the app to provide us with usable information that we could, you know, use to go bra shopping. For example, to tell our model that her correct bra size is a 34B or a 36C or something. However, the results rendered by Soma’s app are usable for… wait for it… Soma. Because there is no final size recommendation – the image above, with the ‘Top Line’, ‘Second Line’, etc.. numbers is the final result. Which then takes you to Soma’s catalogue, where bra styles and sizes ‘just for you’ are suggested from the Soma catalogue. Unless you are planning to order bras specifically from Soma, the SomaInnofit smart bra is a bust. 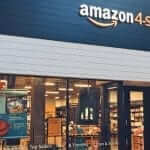 Now, of course, you can infer from their product recommendations what your size is – however as you can see, the bra sizes they recommend ‘just for you’ vary depending on the style. So, while our model can deduce that she should be in a 36, it’s a toss up as to whether her actual size is a B or a C, or maybe something altogether different (conventional bra sizing has always said that the number (i.e. 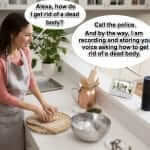 32, 34, 36, etc.) 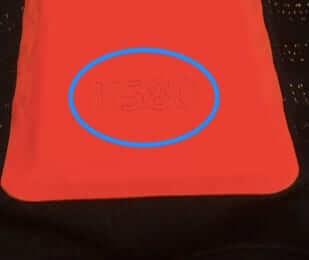 comes from the band size, which in our model’s case is 32.9, and yet Soma is clearly recommending a bra size 36). 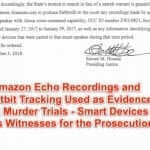 So, what is the bottom line here? 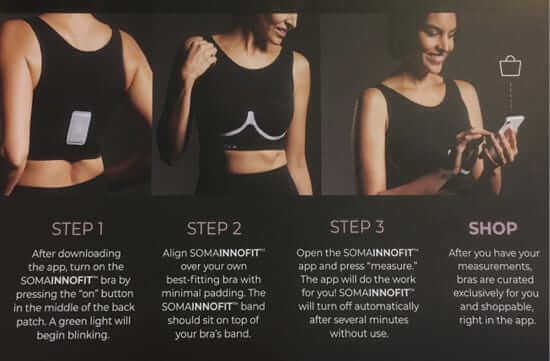 In our opinion, unless you are planning to order bras specifically from Soma (and lots of women clearly love Soma bras, don’t get us wrong), the SomaInnofit smart bra is a bust. If you are a woman you know how awkward having a bra fitting can be. Bra retailer Soma figured to do away with that by introducing the Soma Somainnofit smart bra fitter at CES this month. The Soma smart bra lets you do your own bra fitting in the privacy of your home with a device that looks like a sports bra, but is actually a bra fit calculator.